Review by Stalin Was Right on 6/20/2012. Great Map Mate! I think Hapiness Island should also be joined up with Acter Industrial Park, but other than that a great map! Review by TheFlowerCitySavage on 6/29/2012. Despite how much I despise the GTA games, the Warlight map of Liberty city is pretty cool. This map is definitely all about where you start but that is part of what makes it so dynamic. The more players you start on this one the longer the game will be simply because of how the territories are layed out and how reinforcements go. Review by GunmanMatt on 10/26/2015. Review by Ben on 7/4/2013. You can play gangs and law enforcement. I just change cops to blue. Gangs and myself changed to different gang colors. Review by Mark The Destroyer on 1/17/2014. The way the bonuses are given, it makes for a very strategic game. Great Map. Review by Mr.Raspberryjam on 4/3/2016. Great idea but the bonuses are a bit out of balance or a few more are needed. Review by Andalorium on 1/9/2017. Review by Nathan on 6/15/2017. 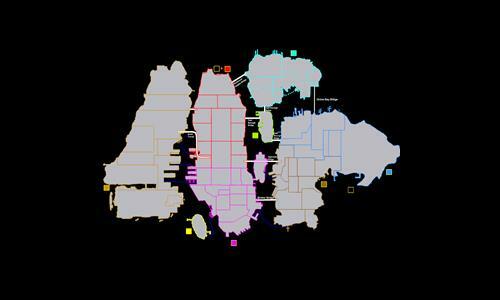 The map is not bad, but the bonuses and superbonuses are inconsistent, as are the instances in which diagonal territories connect. Review by LightningLaveau on 1/8/2013.